The government’s own economic advisors are clearly stating that a no-deal Brexit will see a worse recession than the ‘great recession’ Britain has already endured over the last decade. With one in five of the population already officially living in poverty – how many more will be dragged from the just-about- managing into not managing at all? Just 10 months ago, new research from the Institute for Fiscal Studies predicted an increase of more than a million in the number of children living in poverty in Britain. Its report said that these numbers would reverse all the progress made over the past 20 years. It also stated that the number of children living in poverty will soar to a record 5.2 million over the next five years. That statistic suggests an increase of more than 25 per cent. This was put down solely to government welfare cuts as austerity policies bite deepest on households with young families. The IFS report also said that the gap between rich and poor would widen over the same time frame. Two days ago, the Guardian published an article about the latest research by the Food Foundation. The thinktank reports that four million children in the UK live in households that would struggle to afford to buy enough fruit, vegetables, fish and other healthy foods to meet the official nutrition guidelines. The poorest fifth of families would have to set aside more than 40% of their total weekly income after housing costs to satisfy the requirements of the government’s Eatwell guide, the study finds. The Local Government Association (LGA) warned only last week that the numbers of children housed in temporary accommodation have soared by a record-busting 76% over the last seven years. Their report stated that this equates to councils providing emergency accommodation for an additional primary school’s worth of children every fortnight. And to top that, as if not bad enough, Chancellor Philip Hammond has signalled that a no deal Brexit could trigger a fresh round of austerity measures because of the impact to the British economy. He was speaking after a Treasury minister was photographed with a document revealing that Whitehall contingency planning for a chaotic departure from the European Union had been given the codename Operation Yellowhammer. The writing is on the wall in plain sight. It signals the crisis of daily life for many more to come. 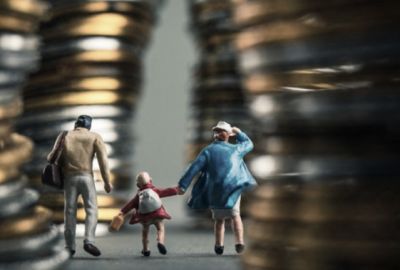 In yet another depressing report, published this time by the Resolution Foundation thinktank two weeks ago, the poorest third of households have accounted for over half of the increase in employment since the start of the financial crisis. However, it cautions against taking this at face value, because the rise in employment has been at least partly fueled by a growing number of people working in insecure jobs and low pay. It should also be noted that around 60% of people living in poverty today are fully employed, thereby trashing claims by Government ministers that moving into work is still the best way to escape economic hardship. In other words, the excuse being used to reduce the costs of state welfare is exactly that – an excuse. These are the statistics of failure for our most vulnerable. But bad as this is, we should be very worried about where this is going. Warnings are now coming in thick and fast that in a no-deal post-Brexit world, the less well off will be disproportionally affected. And if Brexit was a vote by the least well of to kick ‘the establishment’ and they end up considerably worse off than they are right now – one assumes the next stage of their discontent will be to take action on the streets if the ballot-box fails them – again. It is not as if the government is not 100 per cent aware of the problems. Just look at what Theresa May said just a few days ago about a second referendum. “Neither will I give in to those who want to re-open the whole question with a second referendum. In the Summer of 2016, millions came out to have their say. In many cases for the first time in decades, they trusted that their vote would count; that after years of feeling ignored by politics, their voices would be heard. Government economists, ones actually paid for by the taxpayer to forecast Britain’s future prospects and advise the government about the effects of Brexit found that growth would be reduced over the next 15 years, whatever the results of Brexit negotiations. The report published in the FT but originally leaked, concludes that growth would be slowed by 2 per cent if Britain agreed to a Norway-style single market deal (rejected by everyone), by 5 per cent if it agreed to a Canada-style free trade agreement (rejected by everyone), and 8 per cent if it left on World Trade Organization terms, the only option left if the EU continues to throw the ball back in Britain’s court. To give some contrast to that statement. As we are all painfully aware, the banking led financial implosion of 2008 led to global chaos. Its effect on Britain was the equivalent of a brake on the economy of over 6 per cent. The UK created £375bn ($550bn) of new money in its QE programme between 2009 and 2012 to stave off a national disaster. The ‘great recession’ as it has become known was longer and deeper than the ‘great depression’ – and just as we emerge from it, we are facing a new storm – one that is potentially even worse, especially for the poorest and those who could be dragged down with them. If this forecast were to happen, the next fifth in society who are ‘just about managing’ – that is another 6 million households, could easily be dragged into those not managing at all. And let’s not forget – according to the government, there’s no magic money tree. Britain currently has 14 million people officially living in poverty – about 1 in 5 of the population. Poverty is already projected to increase quite seriously by 2020 – and that takes no account of any negative effects on the economy as a result of Brexit. It’s anyone’s guess what will happen but if government advisors are right – several million more will quickly push poverty rates in the UK much higher. That is unless of course, Brexit heralds in an instant new golden age that almost no-one is expecting.